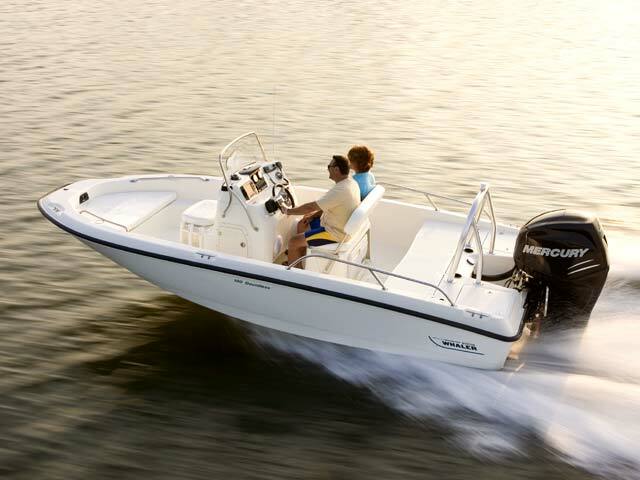 The Boston Whaler 180 Dauntless encourages on-water adventure in many forms. 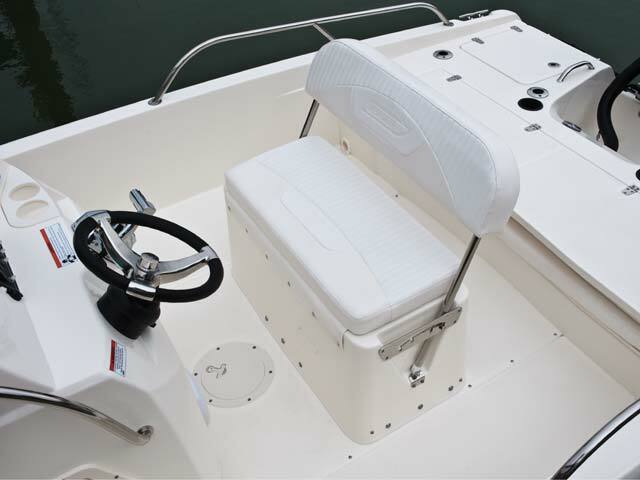 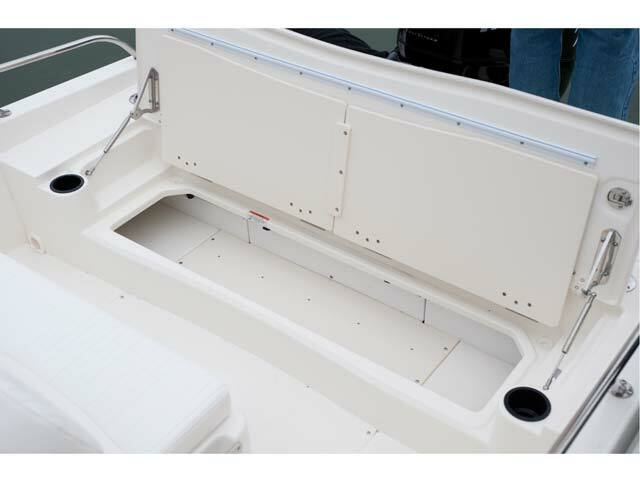 Anglers benefit from an array of fishing boat amenities, including robust aft seating that converts to form a wide casting deck, an optional front console livewell and optional pedestal fishing seats and trolling motor panel. 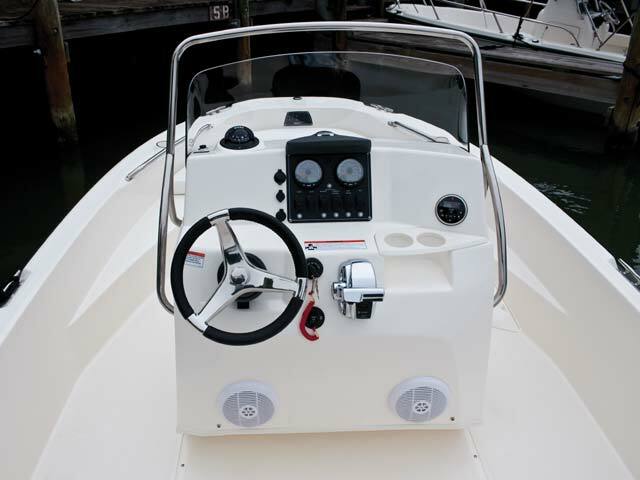 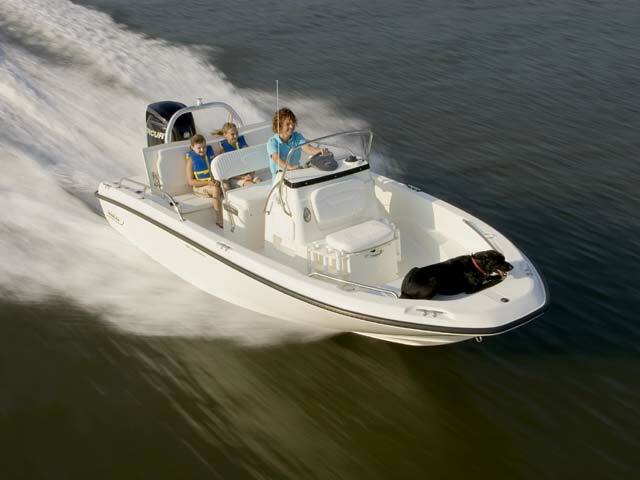 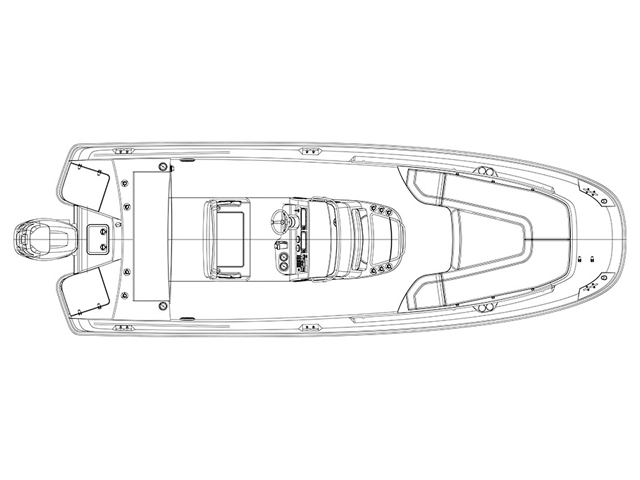 Sport boat fans will love the strong, efficient FourStroke Mercury outboard power and nimble performance, and every passenger will appreciate the comfortable forward and stern seating and slide-out 54-quart cooler. 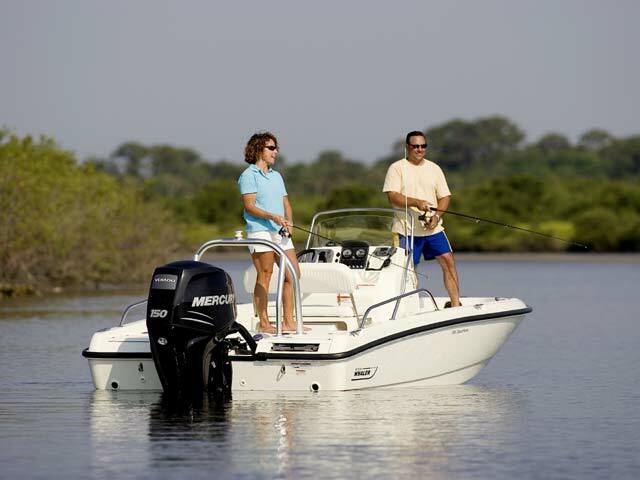 The popular All-Activity Tower option adds more rod holders, a tow bit and additional watersports capability. 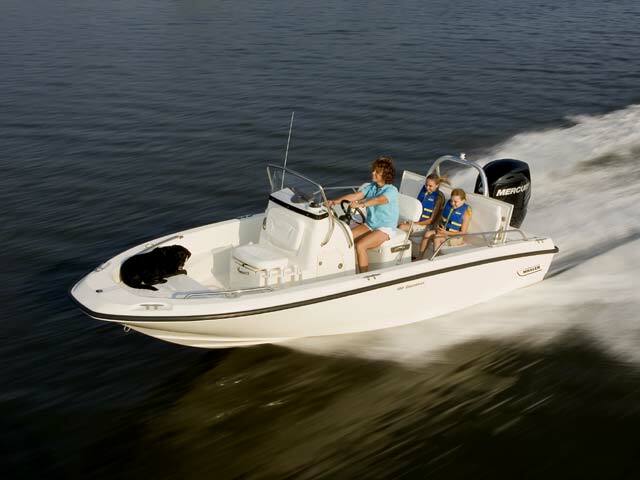 With the 180 Dauntless, you can seize the day, your way.